All you busy moms out there! 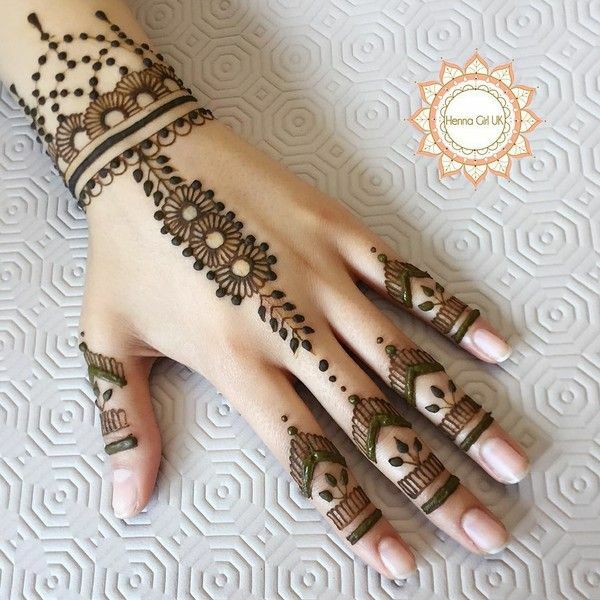 Check out these gorgeous mehndi designs that you can flaunt this Rakhi. 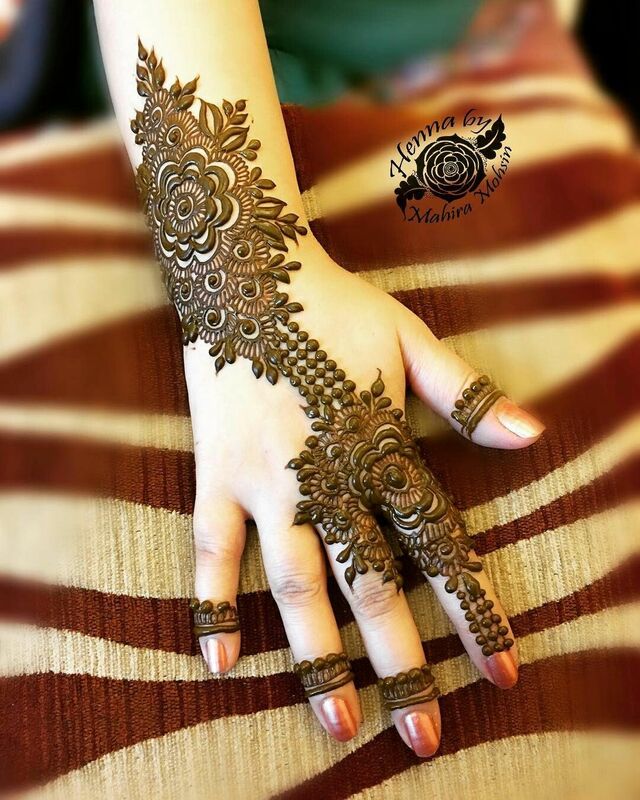 Rakhi is just around the corner and as a tradition, every woman loves to adorn mehndi. 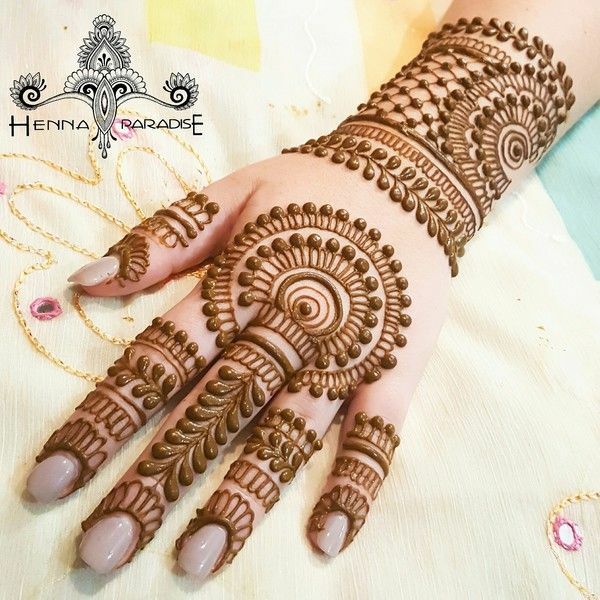 This year we have handpicked exquisite and new mehndi designs that will definitely add to your look this Rakhi. New moms, it must have been a while since you would have had the chance to put mehndi as its something that is not allowed in our tradition when a woman is pregnant. So this is your chance. Scroll down and take your pick. 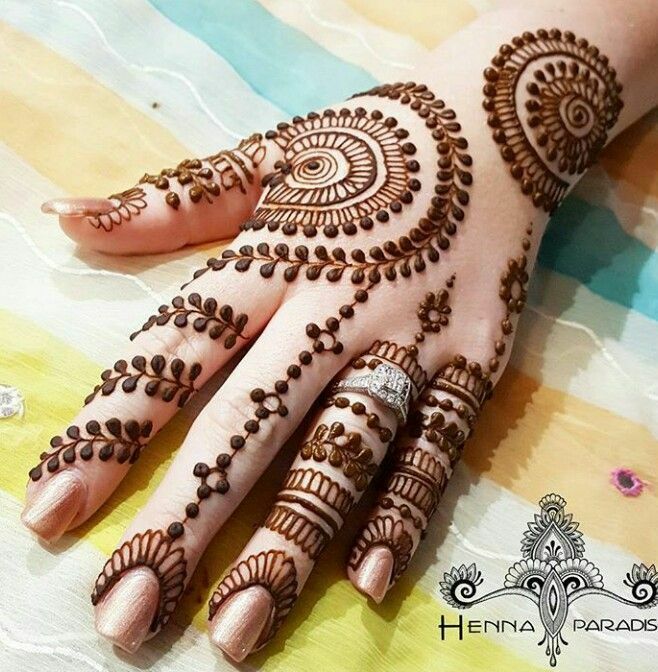 The latest fad in mehndi designs is adorning beautiful Arabic designs at the back of your palm. 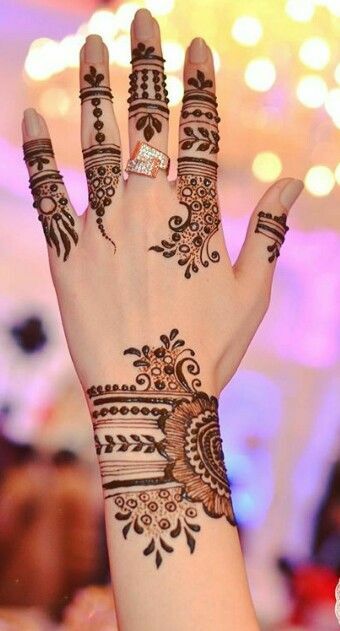 I’ve seen many women who get mehndi just at the back of their palms and not in the front as that’s what they are usually able to flaunt. Designs for such patterns are different than the traditional ones that we have usually been seeing. 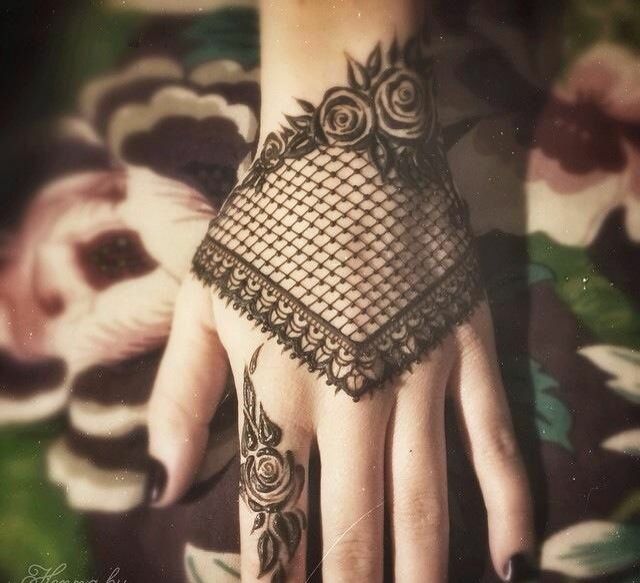 Some even look like jewelry pieces worn rather than mehndi designs. 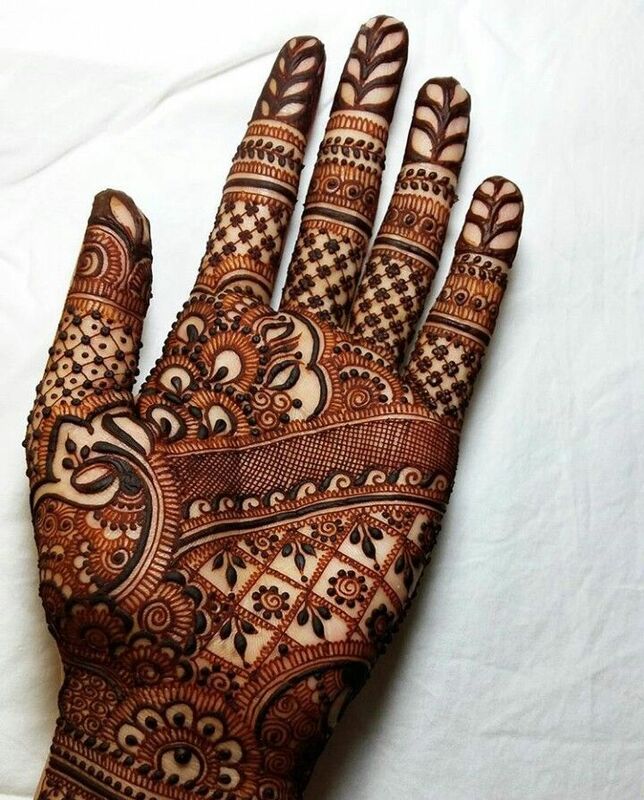 Also, earlier we would usually see just a single finger that would have mehndi on the back but now covering all fingers adds to the beauty of it. But if this is something you do not want, then you can ditch this and choose from traditional motifs and peacock designs that we have handpicked just for you! 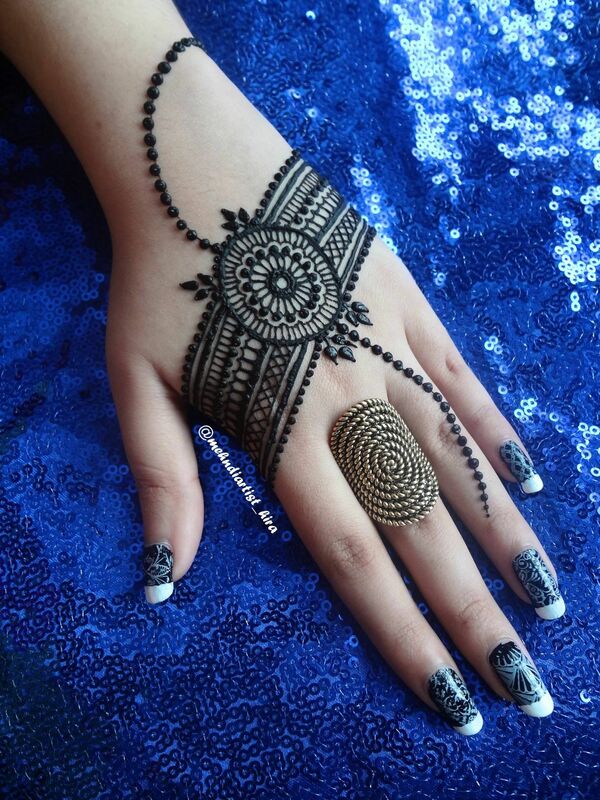 Mehndi along with some great nail art will definitely complete the look. Scroll further down and choose your favorite design. Hope you’ve selected what you would like to adorn this Rakhi. make sure to save the picture and carry it along when you go to get you mehndi. Happy Rakshabandhan!